Tile can add instant appeal to many areas in your home. It is an easy way to update a look for your personal enjoyment or to give that last bit of polish to a house you want to sell. With Everest Interlocking tile adding in tile is easy with large panels of smaller pieces allowing you to achieve the look of detailed tiling without having to lay each individual piece. A benefit to homeowners across the Manhattan, Brooklyn and Queens area. A blend of porcelain and stone tiles give a mix of texture and smoothness to the look of each panel of tiles. It is an 8mm thick mosaic with tiles of varied length and height. These smaller tiles are bound together with a backing in panels with uneven edges. This provides the interlocking aspect as the edges of one panel will overlap and fit into the edges of the next. To achieve a smooth, even edge the tiles may be cut with an appropriate tile cutting tool. Measure your space and plan accordingly to purchase enough tiles to cover the space with some extra panels for flexibility to address needs that may arise. 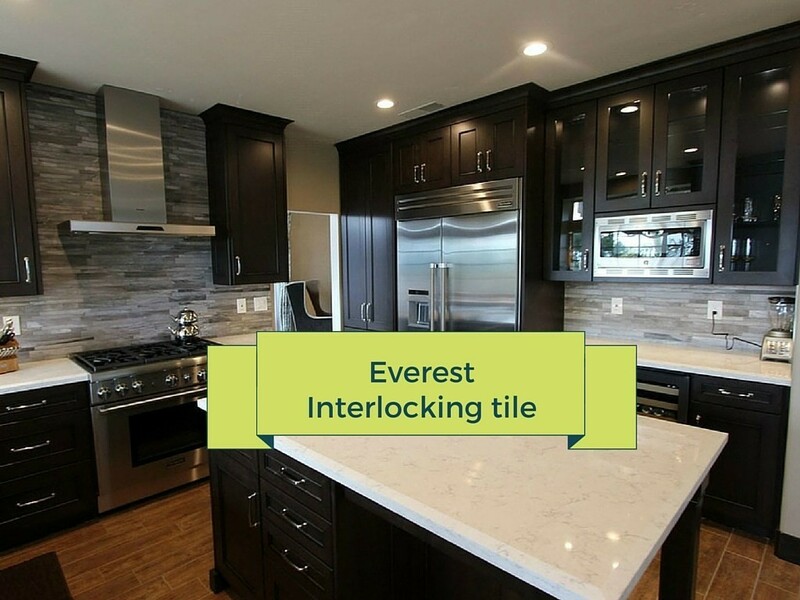 Everest Interlocking tile in Home Art Tile Shop. Everest Interlocking tile, which is a part of the Arabescato Carrara collection, has a neutral color scheme of grays and white. This makes these tiles flexible to pair with other tiles and details in a room or home. Combined with other gray or white toned tiles they can tie together several areas of your home with variations that add interest. For another look, use these tiles as a neutral background to display brighter touches of color in other decorations to great effect whether your home is in Manhattan, Brooklyn or Queens. Consider all the areas in your Manhattan home where tile could be used to advantage. Starting in the kitchen there are a number of uses. A countertop could be nicely finished with this tile. 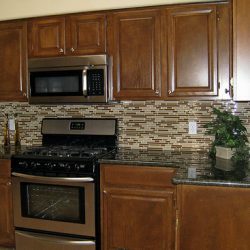 To bring the areas together for the eye the tile could be continued up the backsplash. 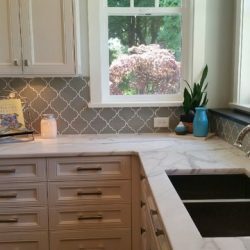 Conversely, tiling just the backsplash makes an interesting accent which does not detract from other focal points in your kitchen. Perhaps your Brooklyn home has a kitchen which opens directly into the dining area. 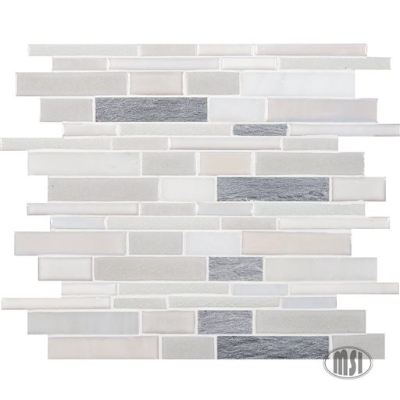 These two separate parts could be tied together with Everest Interlocking tile by continuing the backsplash in a row into and around the dining area. Both areas could then be decorated individually while still being unified. Other wall accents are possible with a little creative thought. Try running a band of tiles several feet wide in the center of a wall from top to bottom. Maybe make a border of these tiles or cover a wall entirely for a stunning accent wall. But then there could be someplace in your house in Queens where a floor could use an update. These beautiful tiles could be just the thing. Tile an entry area to welcome guests into your home. Give a comfortable bathroom a cool feel with a gray toned, porcelain and stone tiled floor. The countertop or backsplash in the bathroom can also benefit from a tile update. If you are needing tile for a non-residential project this tile will suit your needs just as well as it suits a homeowner’s. 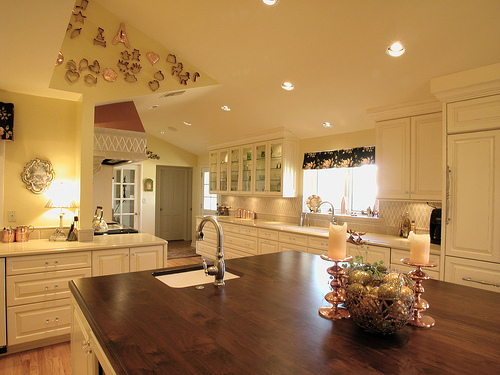 It is suitable for light commercial use in a wall or backsplash. In this setting the tile brings in interest without being distracting which allows for flexibility with what can be done in a room. Therefore it will fit well in a professional setting for offices in any area of Manhattan, Brooklyn, or Queens.